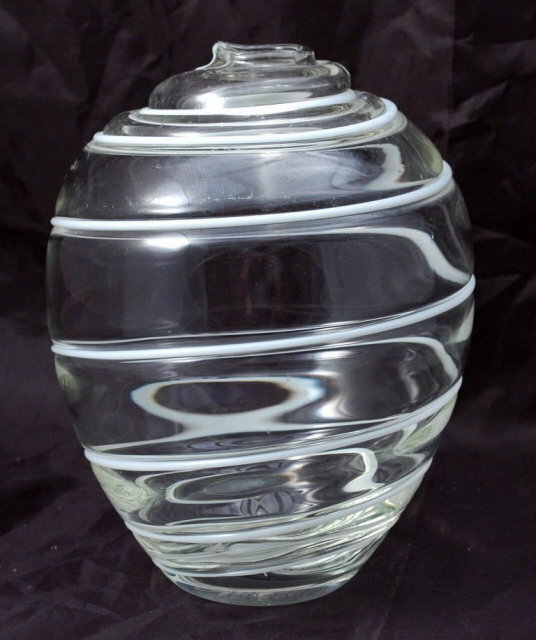 Hand Blown Art Glass Vase with White Swirl Lines. 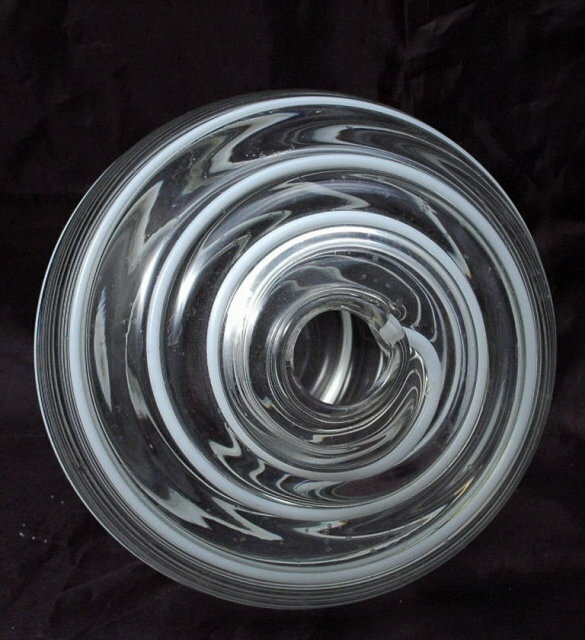 It is crystal clear with a barber pole like groove swirl that hold white swirl line that is raised. It is a real neat effect. 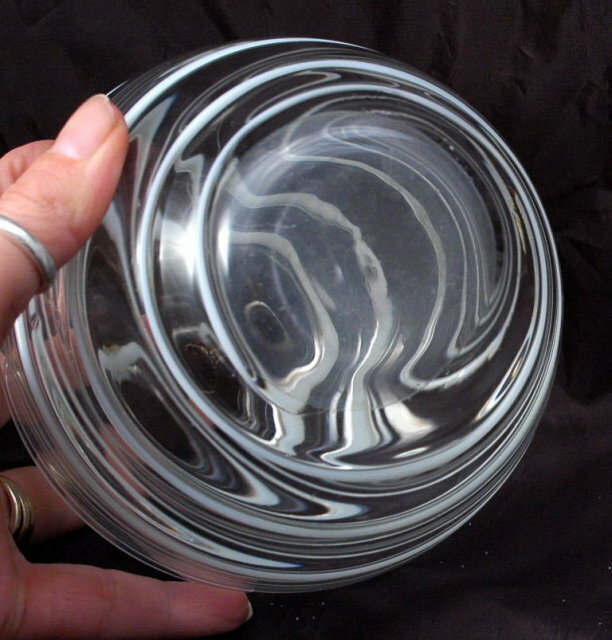 It is 8" tall and 6" wide. It came from an glass art sale at Pratt school for the arts. 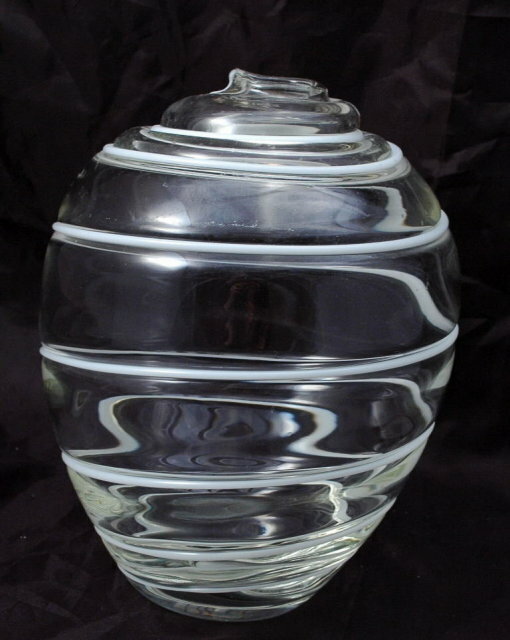 Items Similar To "Hand Blown Studio Art Glass Vase with White Swirl Lines"